The Boaz Gas Board was created in September 14, 1953 (A public corporation organized under the laws of Alabama, and particularly under Act No. 175. ), to provide natural gas service to residents, businesses and industry within its boundaries. Today The Boaz Gas Board serves over 3,000 customers in 20+ communities in portions of Marshall, Etowah, Dekalb, and Blount Counties. Addressing the Needs of its Customers, Employees, and Associates on a Timely Basis with Professionalism and Courtesy. Our office is open from 7:30 am until 4:30 pm Monday through Friday. 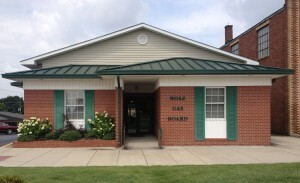 We are located at 138 North Main St in Boaz. We can be reached at 256-593-6764. For after hours or other contact info, please view our Contact Us page. If you have any questions or would like additional information about Boaz Gas, please email us at boazgas@boazgasboard.com.